Carlo Paladino charged onto Canadian shores in the summer of 1963 like a blast of wind from across the Mediterranean. What brought him here is a love story. He and his childhood sweetheart, Maria Carnevale, had grown up in the small hilltop town of Santa Croce di Magliano in southern Italy. Maria and her family emigrated to Canada in 1961 but Carlo was bound by two years of compulsory service with the Italian military. Finally, as spring was turning into summer in 1963, Carlo arrived in Montreal and they were married a few months later. With one dream come true, Carlo then set out to realize his next. A practising mechanic since the age of 10, Carlo was unable to achieve proper accreditation in Canada and had to survive on odd jobs but eventually landed a job as janitor for Louis Quilicot, the Vespa scooter importer. Starting with washing floors, Carlo applied himself tirelessly to tasks and his drive eventually led to becoming the company’s general manager. By 1978 he was supporting two sons and a daughter but Carlo had always dreamt of owning his own business. When he learned that Quilicot was being passed to the owner’s son, Carlo handed in his notice effective June 20, the date he arrived in Canada. His new company would be called Motovan, as Carlo envisaged a national operation with offices in Montreal, Toronto and Vancouver. Starting from scratch, and with a bank loan guaranteed by the equity in his home, Carlo kept stock in his basement and delivered goods to dealers in a rusty old truck. Within a year Motovan had its own building in Montreal North and Carlo kept up a brutal schedule, starting early and working late, always hands-on even as the company grew. One industry acquaintance recalls a 6a.m. meeting at the office where Carlo was busy with scissors cutting out photographs of accessories for the next edition of his catalogue. Years before the digital age, Carlo practised desktop publishing in his own style. His dream progressed from a basement of 1,000 square foot rented space to purchase of bigger and bigger premises and thirty-five years later, Motovan operates from a 250,000 square foot facility in Boucherville, an additional warehouse in Edmonton and a sales office in London, Ont. It employs more than 200 people across Canada. In the past 10 years Motovan has expanded into the U.S. with sales offices and warehouses in California, Louisiana, Ohio and South Carolina. 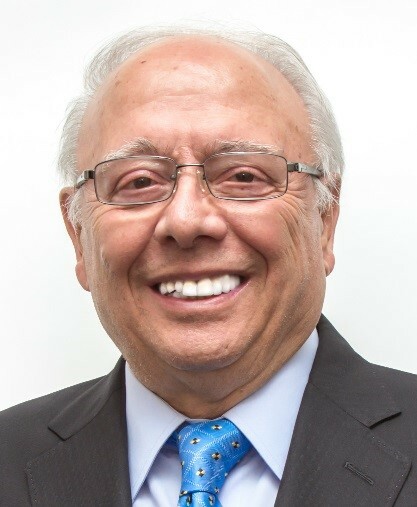 Carlo, at 75, still remains occupied as head of research and development while his sons James and Michael manage operations as company president and vice-president, respectively. Since its early days the company has received industry awards, starting with distributor of the year in 1985 and repeating frequently since. Testimonial letters from key industry figures attest to the honesty, creativity, integrity and care with which Carlo has dealt with his customers, employees, industry partners and suppliers across Canada and worldwide. With a friendly style but steely determination, he has prevailed in a highly competitive industry against well-funded adversaries to become the largest distributor in Canada for powersports parts, garments and accessories. Motovan launched its own lines of cruiser hard parts and accessories, as well as helmets and other apparel for all powersports applications.